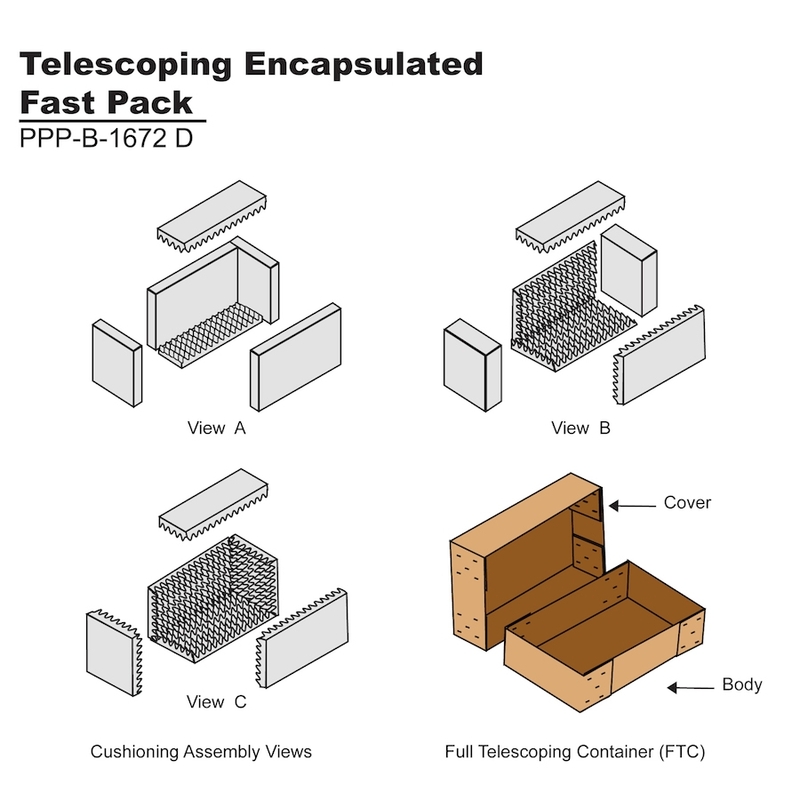 This telescoping encapsulated fast pack is constructed of V13c, 400# DW corrugated lined with MIL-PRF-26514, Grade C Foam. The cushion system consists of 3.75" convoluted pads on top, bottom and sides and 4.75" Convoluted pads on the ends. All foam is laminated to the corrugated. 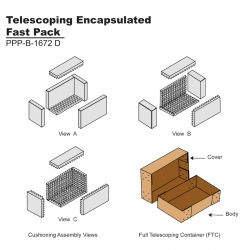 The inside dimensions of the pack are 34x24x18" with recommended max. bare item dimensions of 25x18x12", and outside dimensions of 36.5x26.5x19". This weighs approx. 10.8 lbs. empty and has a shipping cube of 10.636. Recommended Bare Unit/ part size: 25x18x12"